An MP teamed up with horse riders in Calverton over the weekend to help spread the word about a new campaign encouraging motorists to be more considerate when passing them wide and slowly on the roads. 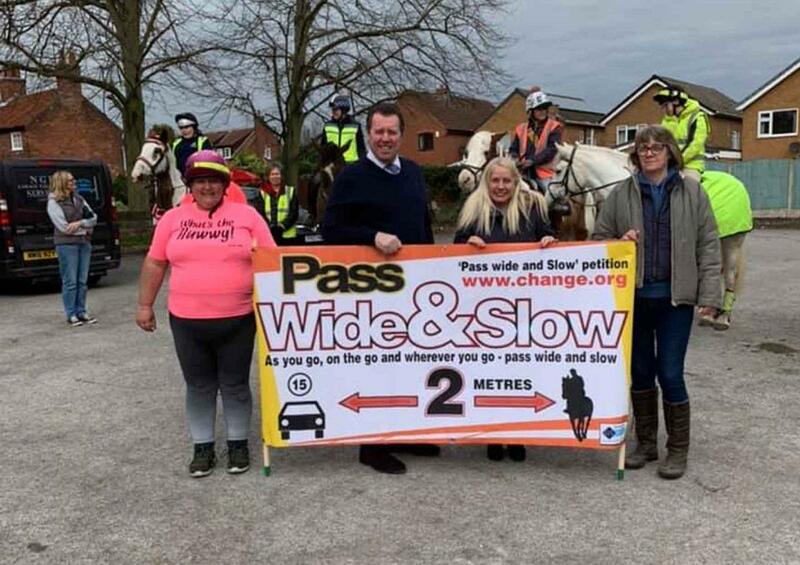 Mark Spencer, who is MP for Sherwood, and Calverton resident Jane Walker, attended a ‘pass wide and slow’ on Sunday designed to raise awareness of horse riders on the road, and encourage best practice for both rider and driver when passing on public roads. The ‘Pass Wide & Slow’ campaign is being publicised across the country with more than 70 rideouts taking place on Sunday, April 14. Mr Spencer said he was glad he could come along and support the campaign in Calverton.